Alex's Apple Orchard occupied the basement of the family home. A 10-year-old kid in Maine finds an iMac G5 on Craigslist and arranges to trade a minibike and a snowblower for it. The computer was supposed to be for games and homework. It instead proved to be the first piece in what is becoming one of the most significant private collections of Apple devices in the United States. 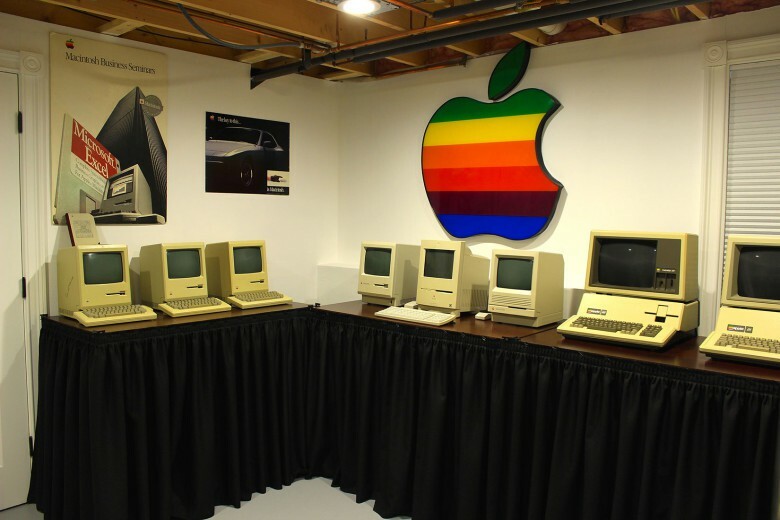 Now 15, Alex Jason is on the verge of opening a public museum that will feature rare prototypes, a bound original copy of Steve Wozniak’s Woz Pak coding notes for the Apple II, and even a rare Apple I that may be the only one in existence with working original chips. Alex’s Apple Orchard holds more than 250 pieces, most of which he purchased with money earned from mowing neighbors’ lawns. Done, done and almost done. An old Carnegie Library was donated to Alex and his father, Bill, to house the collection, which is currently outgrowing the 1,000-square-foot basement of the family home. With renovations, including finding secure display cases, the museum could open by Alex’s junior year in high school. The Apple Orchard will move to a public space in Maine. 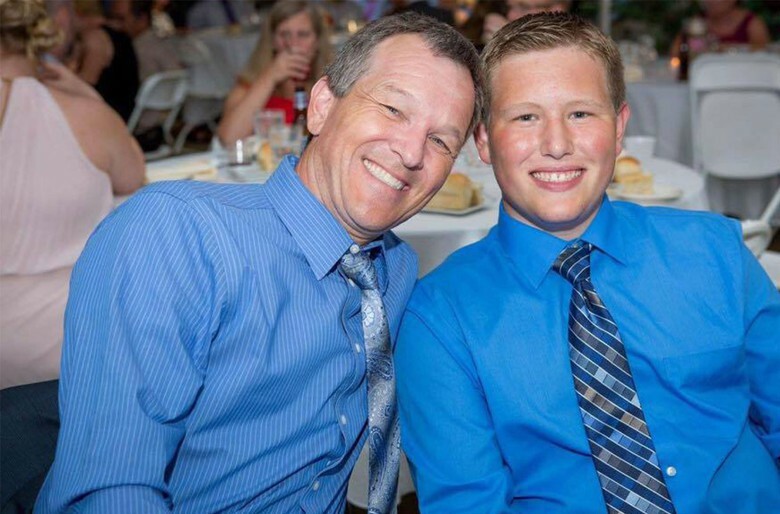 Bill Jason and his son, Alex. There are probably a few thousand Apple collectors worldwide, people who have several devices that they display around their home, explains Jonathan Zufi, whose photography book iConic is a comprehensive visual history of Apple products. Of those collecting all things Apple, he estimates 50 are serious shepherds of large collections, he said. If you close your eyes, you easily forget Alex is just 15. He talks like a seasoned hardware engineer and can back up the language because of a self-taught understanding of how to restore the machines. Alex’s parents bought him the minibike because they were popular with kids used to playing in the outdoors of their rural Maine community. He rode it until the chain broke. His story has a familiar ring to it, the tinkering kid who eagerly helped his dad change oil on the tractor. At school, he would take apart mechanical pencils so he could study how the graphite was fed through the shaft. But, Alex quickly discovered he could not tinker much with his G5 because it was already at its limit for upgrading. So he sought older Macs for sale to take them apart, get them working, and learn how they are put together. This way, he could tinker without breaking something around the house, he said. Most of his initial acquisitions came from his home state. In one purchase, he got 10 computers including an Apple 3 and a joystick that turned out to be a prototype, his first. His father found a clear-plastic prototype mouse on eBay and gave it to Alex for his birthday. By the time Alex had 55 items, the blueprint for a museum began to form in his mind. Father and son attended vintage computer shows, where Alex met other collectors who helped him with acquisitions, and ex-Apple engineers still holding on to prototypes they worked on. Some of the pre-production prototype devices on display in Alex’s basement. Alex says engineers like to hold on to the prototypes but are often wiling to part with them providing the devices, often in clear plastic, find a good home. Alex is itching to share his collection with the public, but for obvious reasons, can’t hold visiting hours at their home. Any visitor who gets the privilege of an invitation know they are in for something special as they descend the basement steps. On the wall are large banners and advertisements for iMacs and other Apple products. 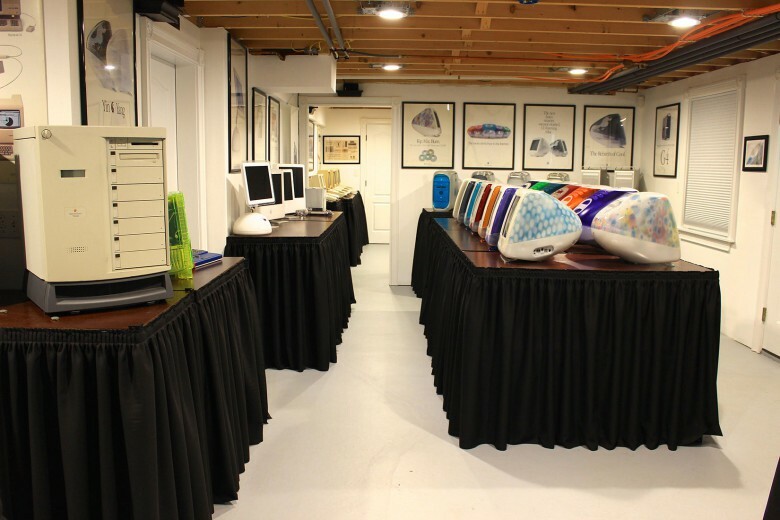 A long table holds two rows of every color of iMac ever made, including Flower Power and Dalmatian. His collection includes every big Apple computer model except a rare Lisa 1. 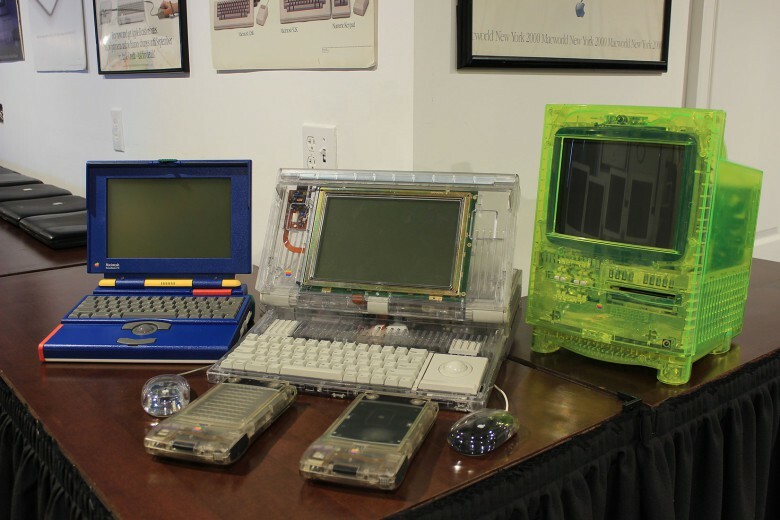 He has early portable computers, prototypes of Powerbooks, a green-plastic prototype of a Color Classic and Japanese models of early Macs. The orchard also includes Apple’s failures while Jobs was in exile as well as a computer from the company he started after, NeXT. The Jasons keep the Apple I at another location, where it is more secure, and have not shown it to too many people. Bill Jason recently quit his job to prepare to open a museum, which they want to call the Maine Technology Museum, and include other science and technology exhibits.